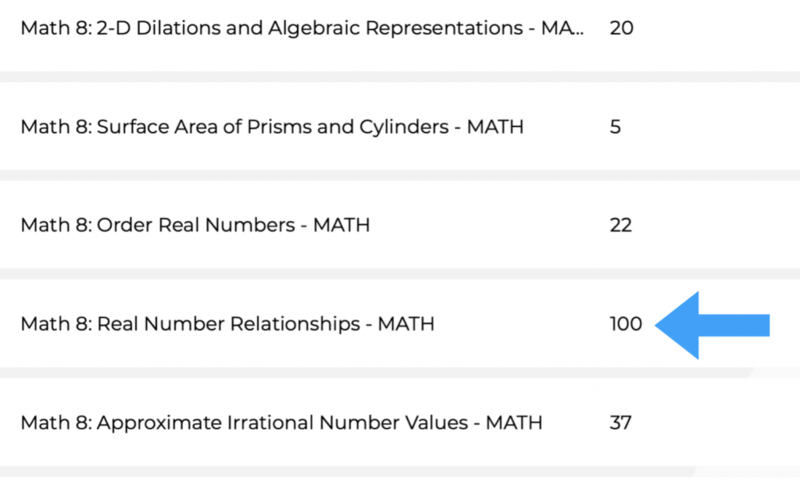 My Math 8 students took their state STAAR test this past week (SIDE NOTE: This testing season marks lap#5 of my students using the Desmos Test Mode app on iPads as well as a TI graphing calculator while taking the STAAR test… more about that in a plethora of past posts). For a unique test-review twist, this year was my first opportunity to share *ALL* of the Math 8 Kahoots! I created last school year for Math_by_Kahoot with my kiddos en masse. Using Google Classroom to share with students, I launched an asynchronous “Kahoot! Challenge” link for each and every TEKS-aligned Math 8 Kahoot (SIDE NOTE: These Kahoots! are organized by standard and are available for YOU to also use! Just check out the side bar on the right side of this screen to access Kahoots! for Math 8 and Algebra 1). Next, I compiled all of these links into an announcement post in Google Classroom so that all of my students would have access and the opportunity to play any and all of these Kahoots! on their own time. Additionally, I shared this massive “Kahoot! Fest” of links with my PLC-mates, so their students could play along with my students. I was pleased to glance through the reports in Kahoot! and see that students, indeed, chose to use the links to play along with one another, outside of our class time together! Unfortunately, since some students did not use their actual names, I’m not sure how many students participated from my classes or my colleagues’ classes. Bummer! 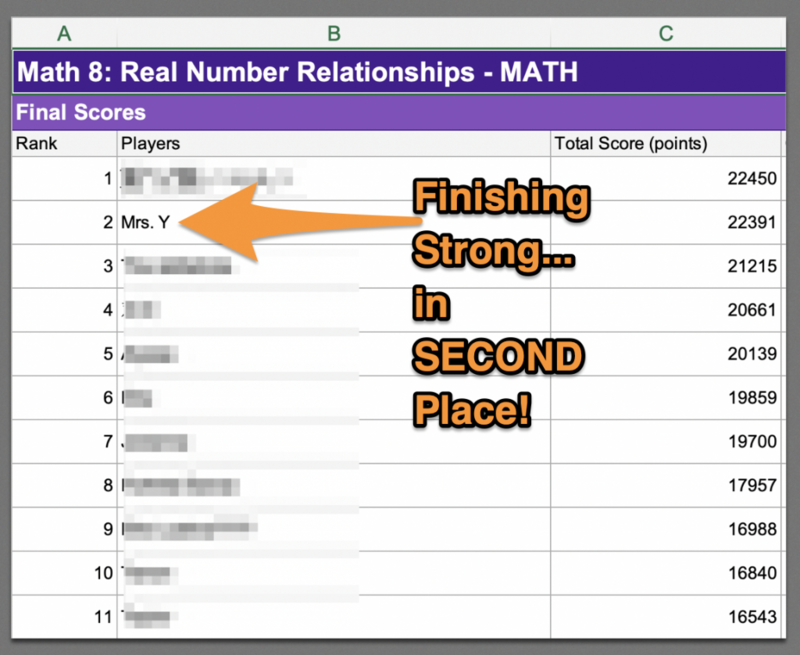 SPOILER: Mrs. Yenca played this one, and earned a pretty awesome score. Apparently word got out amongst students, and it became a goal to defeat me! One awesome student beat my score, ha! In other news, Mr. Jay Chow’s Desmos Linear Breakout! was also a FANTASTIC resource to use to help students take one last stroll through linear lane before their STAAR test. What?!? 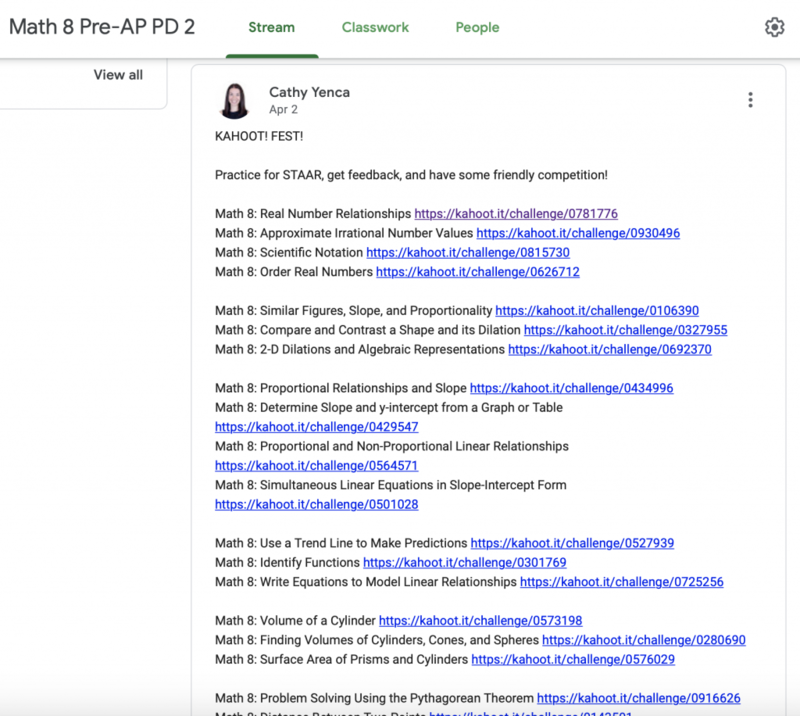 You didn’t know about Desmos Breakout?! RUN, DO NOT WALK. Additionally, while many of us were helping to facilitate STAAR testing on our own campuses this past week, we prepared written testimonies to help SB 1453 gain traction. So thankful that Oscar Perales was able to attend and deliver a powerful in-person testimony to help advocate for ALL student mathematicians across Texas! Stay tuned by keeping up with the hashtag #DesmosInTexas. Once again, Thank you so much for sharing! Absolutely, Joanne! Easter egg, ha! 🙂 I can’t wait to see what you create for your high school students! And, I hope you are well!